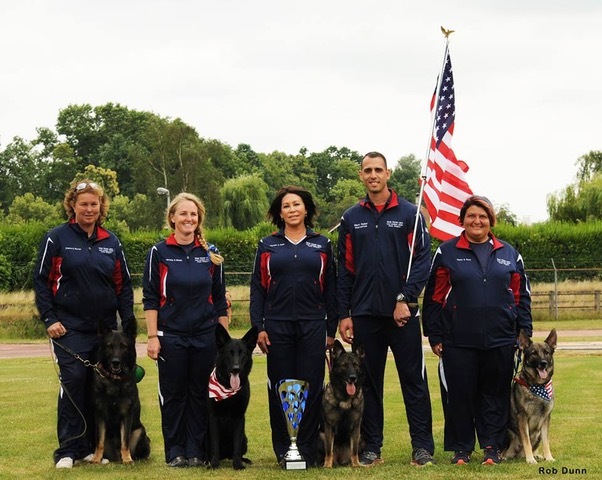 The Universal Sieger program was designed to promote the breeding of the German Shepherd Dog in the United States of America, addressing both physical qualities and character attributes. The Universal Sieger reveals the most impressive feature of the breed’s versatile working abilities. 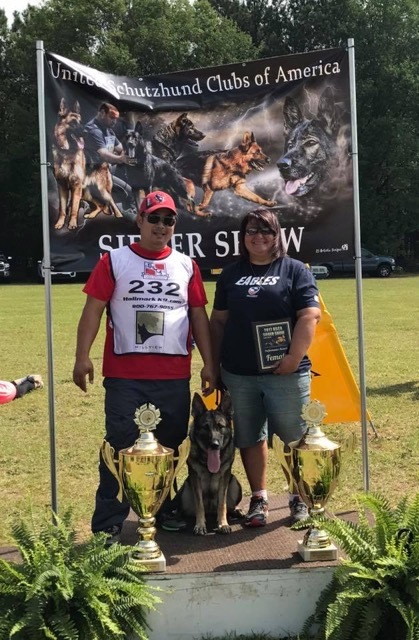 The United Schutzhund Clubs of America recognizes and awards a Universal Sieger and Siegerin each year. 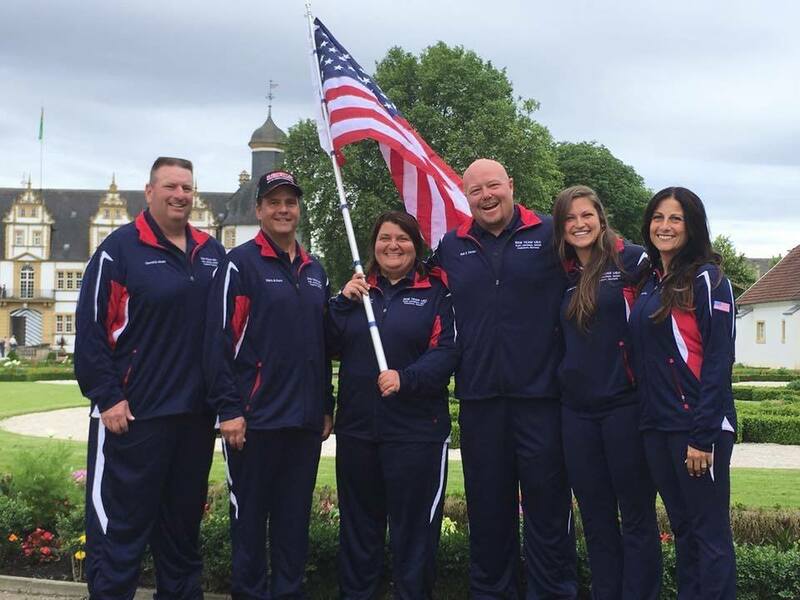 To compete for this prestigious title; the dog must be owned by a resident of the United States of America, be Breed Surveyed, be shown in the USCA Sieger Show, and have trialed in the USCA GSD National Championship. USCA Universal Siegerin V- Xora van Meerhout IPO3, FH2, KKL.